How to play or listen an audio or video within your Windows Server Hyper V client machines from Windows or MAC machine. There are quite easy steps to enable sound within your Windows Server Hyper V client machines. Normally when you setup Virtual Machines (VMs) on Hyper-V, then there will be no audio drives installed. So, if you want to play or listen an audio or video from Virtual machines, you have to play around with your Remote Desktop Connection and some changes on Hyper V machines too. 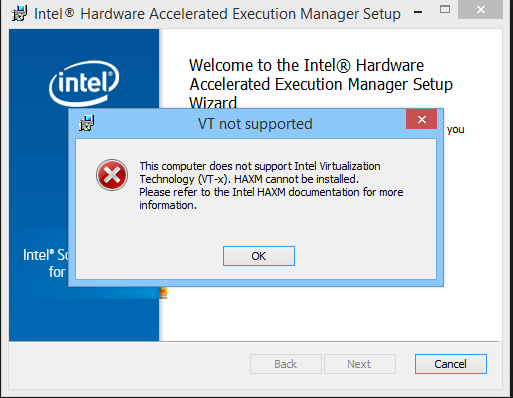 [Solved] How to fix Intel Virtualization Technology (VT-X) error to setup HAXM for Hyper-V sytem or Emulator ? I think you have try different way to fix the issue as shown in screen shot. How to delete a folder which ask “You need permission to perform this action. You require permission from…” even you are administrator of that folder. Even you are admin of your system or even you manage to took the ownership of folder in your name, then also you might not able to delete the folder. So, I would like to provide you the quick solution. Very easy !!!! When I am working as a System Administrator, I am getting many chances to learn new things even though it is not a big issue or serious problem in organization. So I also thought to share you this solution which might work or you may need in upcoming future in any time. Whenever I boot my computer, it always ask for the Bit locker key.